In the first year of school (we call it Reception in SA but you may know it as Kindergarten, Preschool, Prep, etc) we spend a lot of time teaching the alphabet. This can be done with a variety of literacy approaches and I'm always looking for fun ways to link it in across the curriculum. Through a couple of blogs I follow I stumbled upon the Alphabet Project. The basic idea is that bloggers will post something to the theme of each letter of the alphabet on a weekly basis. 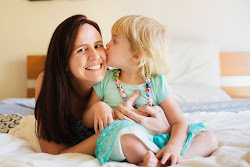 This lovely blog is doing a character series targeted at parents of young children. I loved the idea, but am about three months too late to keep up with the rest of the blogging world. So I'm doing mine all in one go! I have two projects going - one for school age children and one for toddlers. I planned to include both finish products in the one post but I couldn't wait and wanted to publish my first one. So I call it "The A-Z of a Successful Classroom". Please 'pin it' if you like it and help me get it circulating around the Pinterest world! 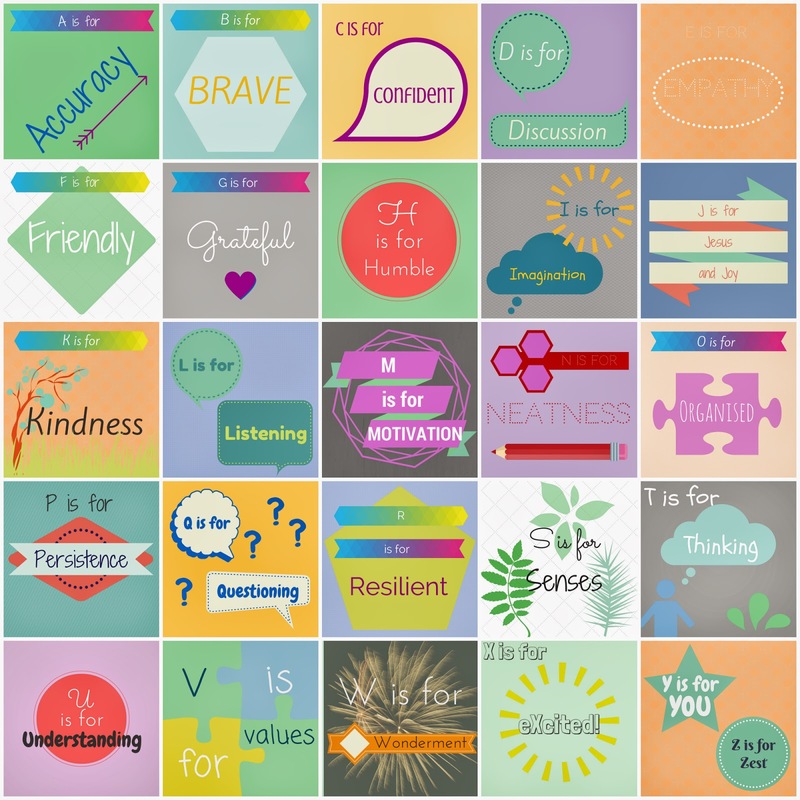 I tried to think of key words that would inspire students to DO their best and BE their best. Many key words are from particular programmes that our school adopts such as Program Achieve, Habits of Mind and Play is the Way. Also, I should note that I teach at an Christian School so you'll notice that I included "J is for Jesus and Joy" so as to cater for all. You could introduce one a day with your class or one a week if you start early enough. The children could also come up with their own class alphabet project! Here's my list again in plain text (with elaborations). I once again owe the ability to create such an awesome graphic to canva (which is the site I used for my blog header and profile pic). I created each image individually, exported the whole lot and created the collage using Pic Monkey. (Pic Monkey is the best collage website I've seen that lets you put a large number of images in the one collage. Fotor, my usual program only lets you have 9. Ribbet is another good site but is more limiting than Pic Monkey). I love to give out little tips every now and again and I must say that I am really loving learning new things on this blogging journey. I really feel like a life long learner. And isn't that what we teachers are encouraging our students to be? Now that I've written this post, I think it was a good idea to do them in two parts! Stay tuned for the next stage in my Alphabet Project - the A-Z in the life of a Toddler. Oh i love this Lauren! I love how versatile it is.. i teach English/ESL at secondary school, and could use this in any of my classes minus the Jesus :) its fantastic! when my kids are older I want a laminated one in our house! I love this too, Lauren. And thanks for the social media tips as well!